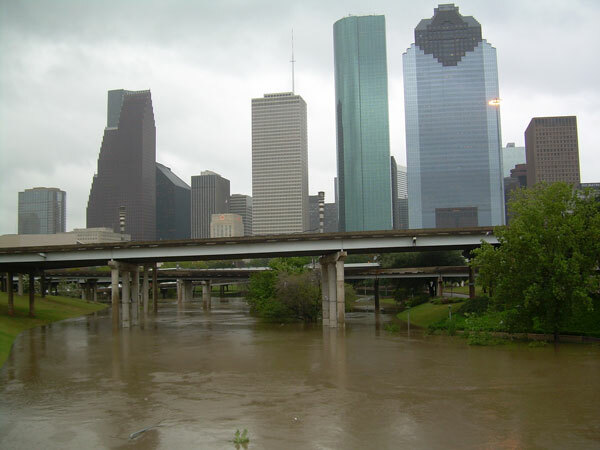 Isiah Factor | The Insite » THE FLOOD PATROL IN HOUSTON – AN INSITE IDEA! THE FLOOD PATROL IN HOUSTON – AN INSITE IDEA! October 22, 2006 | Posted in Uncategorized | Comments Off on THE FLOOD PATROL IN HOUSTON – AN INSITE IDEA! AN IDEA TO SAVE LIVES DURING FLOODING! I was thinking about the tragic deaths of two women who ran into a flood near I-45 and Tellepsen. The women apparently ran into high water at the underpass. The mother and daughter were both killed in their small blue SUV last week after drowning. HPD officers say they put up a sign indicating the water could be high around 6:30 am that morning. Apparently, that was soon enough for the driver and passenger. So with that in mind I came up with the idea of the flood patrol. 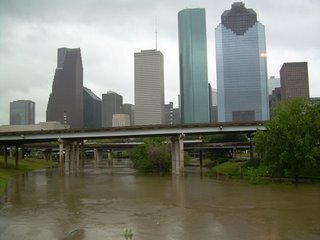 Individuals in the Houston Police department or fire department – even public works who would be immediately activated when heavy rains are expected. It would be their sole job during bad weather to go to overpasses like the one on I-45 and Tellespen place signs warning of the danger and patrol the area until the inclement weather passes. It wouldn’t cost the city any money – they could just re-deploy from within one of the departments mentioned earlier. It could save lives because this isn’t the first time a person has died in Houston after driving under a flooded overpass. Let’s be frank, the painted on water meters at some underpasses simply don’t work. We have two funerals to prove that!